Fresh from being kicked out of his childhood orphanage, Atsushi Nakajima just can’t catch a break. 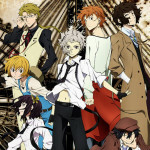 Menaced a by a large white tiger that seems to follow him wherever he goes, Atsushi runs into Dazai and Kunikida, members of the Armed Detective Agency who happen to be tracking the creature. After some bribery, Atsushi agrees to help them ambush the tiger. But all is not as it seems and Dazai reveals that the mysterious tiger is not hunting Atsushi, but has in fact been Atsushi all along. With his newly realised abilities, Atsushi is invited to join the Armed Detective Agency, an organisation run by people with similarly bizarre supernatural powers. Unfortunately for Atsushi, trying to adjust to his new life with the agency draws the attention of the local and extremely violent Port Mafia, and they are looking to claim a hefty bounty that has been place on the white tiger’s head. 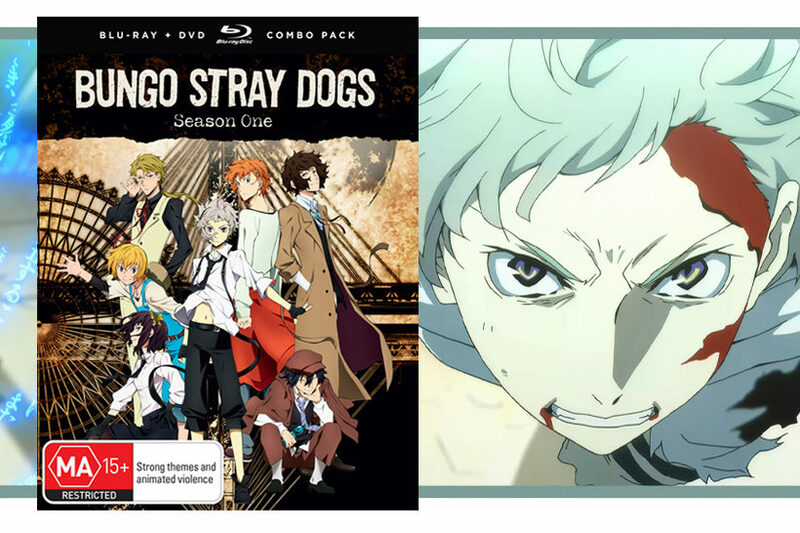 In 2016 I did a first impressions article for the first episode of Bungo Stray Dogs Complete Season 1, and following the release of the series by Madman on DVD/Blu-ray, I am able to revisit the series and present my thoughts and feelings in much greater detail. First of all, some general housekeeping: this season contains an inordinate amount of jokes about committing suicide so if that is not something that appeals to you in the slightest then Bungo Stray Dogs is definitely not for you. 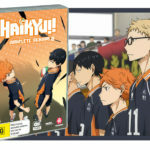 There is also a high school aged sister character who is obsessively and romantically infatuated with her brother, and although she doesn’t feature much in this season, whenever the two share screen time it is an ordeal. With that out of the way, we can proceed. Bungo Stray Dogs Complete Season 1 is based on the manga by Kafka Asagiri and illustrated by Sango Harukawa. It is part of a sub-sub-genre of Japanese media that takes historical figures and handpicks elements about them to create a narrative completely removed from the context of aforementioned historical figures. The Afterschool Charisma manga (featuring teenage clones of historical figures) and ClassicaLoid anime (ft. historical musicians) are just two of the many examples of this sub-sub-genre. The gimmick in Bungo Stray Dogs is that most of the characters in the series are named after famous authors and their supernatural powers are based on or loosely connected to the works of their respective authors. 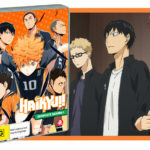 Unfortunately, this aspect of the show does not connect to the overall themes or narrative of the series in any meaningful way and only arbitrarily informs the personalities of some of the characters. 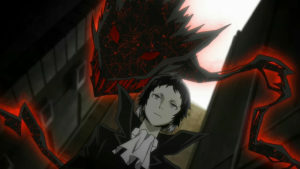 When the show does explicitly connect a character to their author counterpart it comes across as tasteless – specifically in the case of the character Dazai. When we are introduced to Dazai in the anime, he is attempting to drown himself. From that point on, we are repeatedly shown Dazai attempting to or researching how to commit suicide throughout the series. As Dazai is based on actual author and human being Osamu Dazai, who himself attempted to commit suicide multiple times and eventually succeeded, this depiction is not particularly tasteful. This choice to include Dazai’s suicidal tendencies would have been less crude if Bungo Stray Dogs had a cohesive tone that actually used the gimmick of famous authors as something other than wallpaper, but unfortunately the show has tonal issues galore and the famous author gimmick is just a small part of that problem. 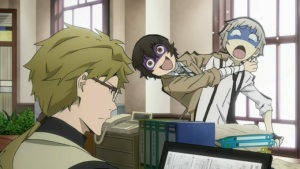 Bungo Stray Dogs Complete Season 1 has two types of episodes; episodes that connect to the Port Mafia and the overall plot, and episodes that feature Atsushi tagging along with an employee from the Armed Detective Agency to do a job. This generally means that character arcs for the show’s extended cast are condensed into a single episode (or two if you’re Kunikida) and have very limited time to introduce you to and make you root for said characters. In my case this didn’t work too well, and I only ended up enjoying a handful of characters despite the show’s best effort to over dramatise events to win me over. This is mostly due to most of the characters showing up for their designated episode where we get a general introduction and feel for them as people, but they are then regulated to background dressing. 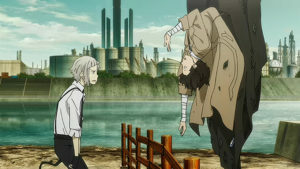 It doesn’t help that Bungo Stray Dogs contains tons of dramatisation that feels hollow due to its condensed nature and the sheer amount of information we are expected to process over a single, often tragically bizarre, event. The deductive genius Ranpo’s episode suffers the most from this, as what should be a fun mystery narrative with a simple twist contains a wild amount of emotional flip-flopping that results in this weird narrative about forgiveness. Kunikida’s designated episodes also suffer from poor pacing, particularly the surprise introduction of elements that disappear just as quickly as they are introduced. 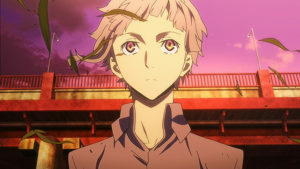 Bungo Stray Dogs also seems to worry that the viewer will forget Atsushi’s tragic backstory because it cannot go for more than two episodes without playing the same exact flashback clip where an adult from his orphanage tells him how worthless he is. A solid and empathetic scene in theory, but the amount of times it gets inserted into episodes borders on parody. I was also disappointed to find that later in the series when Atsushi was in danger, the Armed Detective Agency employees were prepared to do nothing. What’s worse is that when Dazai goes missing for several days, no one is in the least bit concerned despite his repeated attempts to commit suicide. 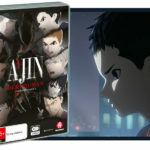 For a story that contains a lot of themes on found family, the lack of connection and empathy between characters was off-putting and made the series feel seriously lacking. That being said, there were some things that I really enjoyed from Bungo Stray Dogs Complete Season 1. Saying the animation is good and the action is exciting and fluid is somewhat redundant, because the show is produced by Studio Bones. But still, it’s worth mentioning and the kudos is deserved. Akiko is probably my favourite character from the Armed Detective Agency, as she has an interesting ability that puts a twist on her role as the organisation’s medic. 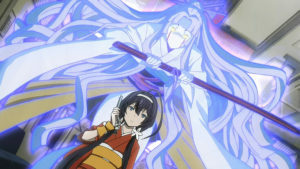 Her episode with Atsushi was also one of the best character introductions as it showed off her personality while still having a strong connection to the main narrative of the show. The introduction of Port Mafia child assassin Kyouka also revitalises the season as she is empathetic, her relationship with Atsushi is sweet and stakes feel more personal once she becomes involved. When Bungo Stray Dogs focuses on the Port Mafia and their attempts to corner Atsushi the show is engaging, because it becomes a little more focused. Similarly, when Dazai isn’t portrayed as a walking suicide joke, he’s mysterious, interesting and has an intriguing backstory. His past and relationships with other characters that is only hinted at this season is something I’m actually keen to see more of in season 2. Bungo Stray Dogs Complete Season 1 is a standard anime experience with shiny visuals, and jokes and dramatic beats straight out of an early 2000s show. But there are hooks in the series that have my interest, and I am keen to see what form the show takes going forward. Although I have managed my expectations and no longer expect characters to have a meaningful relation to their real-life author counterparts or to have those elements impact the story, now that character introductions for the main cast are done, hopefully the show will become something a little richer in substance. Honestly, all I need now is a solid plot trajectory and more spotlight on Kyouka and Atsushi shenanigans and I should be satisfied.